NRI PPF New Rules - How NRI can withdraw money from PPF? Home » Personal Finance » NRI PPF New Rules – How NRI can withdraw money from PPF? NRI PPF New Rules – How NRI can withdraw money from PPF? NRI PPF – The PPF scheme is most popular and preferred investment option in India. The PPF scheme is recently amended by the government of India for NRI. As per new notified rules PPF account needs to close on the day the investor become NRI. This rule is also applicable to NSC. If the account is not closed it will only earn 4% return, whereas NSC will earn post office saving bank account return. NRI shall not be able to open PPF and NSC account going forward. This rule is applicable with recent effect. This means current NRI PPF account will only earn 4% return instead of 7.8% return at present. The difference between old and new NRI PPF rule is shown below. As per the latest rules, NRIs cannot open a new PPF account in India. NRI’s are not allowed to continue PPF account up to maturity. PPF account of NRI will be closed immediately once their status changed to NRI from resident Indian. The existing PPF account will get only 4% interest. The interest rate of 4% is not sufficient to even beat inflation. So, NRI with PPF account or NSC must be worried what to do? One option is stay invested and earn 4% return and the second option is to withdraw money from PPF and close the account. However, the big question is that if NRI is staying abroad how he/she can close NRI account. Here is a complete guide showing How NRI can withdraw money from PPF? How NRI can withdraw money from PPF? If you are an NRI planning to withdraw money from PPF due to this new rule please note that your request can be processed by bank or post office only if your signature is attested by an authority. The authority of attestation can be Gazette officer or PSU Bank officer. Follow the steps given below to close your NRI PPF account. Step 1 – Send PPF closing form to your relative, parents or friend in India where you have NRE/NRO account. You also need to send authority letter stating that you are allowing them to do withdrawal process by closing PPF account on your behalf. Step 2 – The person needs to visit bank where NRI have NRE/NRO account. They need to get attestation of the authority letter. After it is attested person has to visit bank or post office where PPF bank is held. The bank will accept the document and close the account. If you are NRI it is advisable to close your PPF account and invest in either mutual funds or equity. Another alternative option for you is NPS. Wanting in clarity, in absolute terms ?! whereas ‘NRI’ is a concept specially adopted and used principally for RBI / banking purposes. Further, PPF is a special deposit account opened , and maintained, as mandated, for availing of the tax benefit(s) that entails. The concept ‘Indian’ used as a suffix to ‘RESIDENT’ to say the least, is quite confusing and misleading. One has been left wildly wondering whether it is such a confusion that has resulted in being left with the predicament of ‘TDS’ complained of ?! I spent more than 6 years working in India , then became an NRI . I recently withdrew my PF by linking it through Adhar etc this May ’18 . But TDS was deducted. Is it eligible for IT return ? Whats the process? I can’t see the option in 2017-2018 IT return , it’ll be eligible for return next year 2018-2019 right? Incometax is applicable if your income is above taxable limit.If TDS is deducted and you are looking for refund you need to file ITR. In order to avail refund your total income in India should be less than taxable limit. Yes sure,You can get even circular on this news. Thanks for sharing this valuable information. Could you help us sending the forms mentioned in step 1. Can we continue after returning to India? No as per new rule NRI is not allowed to continue. 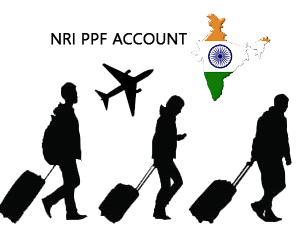 If you return back to India and hold Indian resident you can reopen new PPF account.